Earthquake, forecast, prediction, precisely by variety of equipment. The equipment is very expensive but cheaper than one life. Every big city must create earthquake station and be connected by nets with other stations. Earthquake wave are gravitational waves [A. Einstein]. Explanation: by United Nature-Wave Theory. Earthquake appears by accumulation of energetic matter in “pocket” of earth mantle which try escape from active energetic earth quantum by earthquake. For understanding the earthquake we must understand the rules and behavior of NATURE that is very simple but very sophisticated and with all modern tolls we can predict earthquake more precisely. Circulation of energetic matter in regional, unclosed 11 dimensions formation, defending itself by gravity forces. 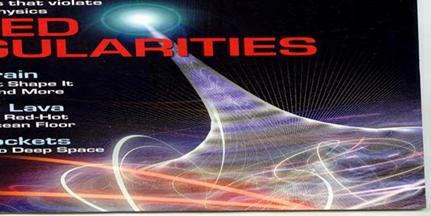 See articles of quantum structures and behavior United nature theory – wave theory. Our earth is large quantum formation Every quantum, gravity wave is composed of ever smaller quanta of different seizes and behavior. Every quantum has beginning and end by dispersing its energy. By those small quanta earth loss constantly energy [gravity waves], The earth mantle has hollow [inclination] in inner surface and her appears condensation of dispersing active energetic matter This dispersing active energetic matter creates new quanta or accumulates as energetic pockets that try rescue from earth quantum.
. The very condensation high active wavy energetic matter causes to mantle in these regions quake. Sometime this energetic matter [strong force] “cutting” throw mantel and cause earthquake, with fire, volcano’s and geysers. http://www.grandunifiedtheory.org.il/quake/quakep.htm. .Energetic matter is constantly active by energetic wave. Every energetic wave is composed of ever smaller waves — ad infinitum — and contains both an energetic (electric) and magnetic component of perpendicular activity. Perhaps, prediction, try to utilization of the smallest energetic wave [enormous energetic source] will prevent the catastrophic effect of the biggest waves ( picture below). Every quantum composed by two main forces electric and magnetic. Two kinds behavior of perpendicular motion energetic forces. Beautiful pictures of two kinds of perpendicular energetic forces motion. Other beautiful important picture of two gravity quantum perpendicular forces . Pict, of gravity [quanta] waves behavior. The strong electric field causes the air ionization that is important sign of energetic activity in the region..
Ionization of air [energetic accumulation] before earthquake. changes in the ionosphere, various types of electromagnetic indicators including infrared and radio waves, radon emissions, and even unusual animal behavior. [vikipedia]. Gravity: appears in closed condensed energetic space time by motion of energetic electric and magnetic forces that tending to push draw them toward the center of the body. 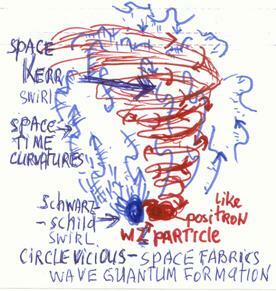 Wave formations [quanta] are composed of both a pushing energetic loop (swirl) and a pulling magnetic loop (swirl). These swirls are in a constant state of both competition and superposition in large and minute formations like Schrödinger’s cat. Energetic matter is apparently a living mercurial formation. Since energetic and magnetic loops are in constant competition, gravitation in any particular location is mutable. Waves are in a state of superposition, but each one maintains its own space. Experiments may yet prove that the wave formatin is in fact a living behavior and are in constant activity. Perhaps, earthquake wave’s vibrations are caused by successive pushing and pulling [shrinking] properties of the earth energetic waves. In the future, scientists may be able to discern these vibrations with highly sensitive scales or other measuring utensils. In Paris “1 kilo” of feathers and 1 kilo of iron are equal. 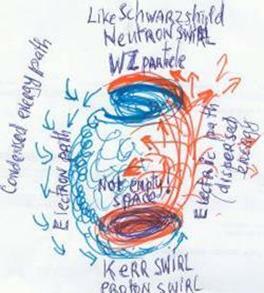 Explenation: Aurora gravitational wave (quantum=previous page) have two kinds of energetic path. 1]Ascending energetic and 2 Perpendicular to him (horizontal) and magnetic (gravitational) like falling fog. In the north the gravitational semi-loop [pulling] is greater. In the equator energetic semi-loop [pushing] is more prominent, and the pushing ascending [anti gravity force is prominent. From that we can conclude that gravity and weight are not the same. Important tools for gravitational wave detection. Are available many techniques, or methods of integration of the above techniques, have been developed and are currently used. Seismic methods, such as reflection seismology, seismic refraction, and seismic tomography. 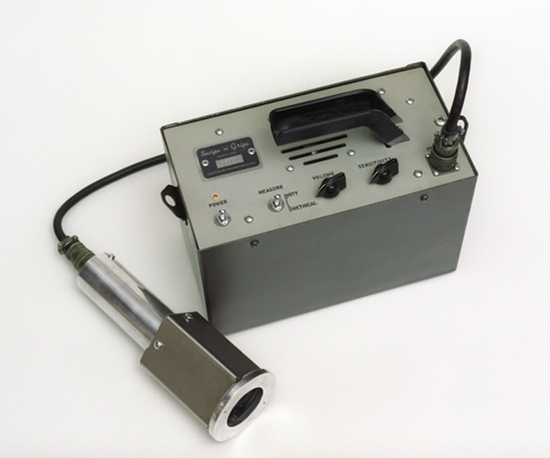 Magnetic techniques, including aeromagnetic surveys. Electromagnetic methods, such as magnetotellurics, ground penetrating radar and transient/time-domain electromagnetics. Rayleigh waves are similar to water waves in the ocean (before they "break" at the surf line). The energetic electromagnetic force move by two perpendicular forces, which are always in superposition [Schrödinger ingenious paradox]. That is the reason that earthquake forces are very destructive. Only NATURE explained alone these sophisticated two forces. Pict.4 explanation. These two [one] forces create everything and that is the reason that I propose two perpendicular seismograms. The rise of temperature may help predict the place of earthquake. By drilled some borehole [that not must very deep only with stabile temperature] the rising temperature together with other parameters can help to predict earthquake. Animal’s behavior: Still object to learn, may help to predict of earthquake. Continue examination of gravitational waves and earth temperature by shuttles can also help to predict earthquake. ..There are two types of gravimeters: relative and absolute. Absolute gravimeters measure the local gravity in absolute units, gals. Relative gravimeters compare the value of gravity at one point with another. They must be calibrated at a location where the gravity is known accurately, and then transported to the location where the gravity is to be measured. They measure the ratio of the gravity at the two points.
. Earthquake wave are gravitational waves [A. Einstein]. With all modern tolls we can predict precisely time and location of earthquake. Equipment is expensive but cheaper than one man life and more… Earthquake is untapped energy source and in future... This dangerous location will be sources of supplement of huge amount of energy. This article may copy but please cited the source.